Bucharest is a city full of depth, is one of the first things I discover while walking the cobbled streets of the Eastern European city. It’s hiding many stories. One of them is that of the Rroma, or Roma, the term that is now used to refer to the people that used to be called gypsies. I join the Rroma Heritage Tour, a walking tour that takes me around the city explaining the history and modern day life of the Rroma. 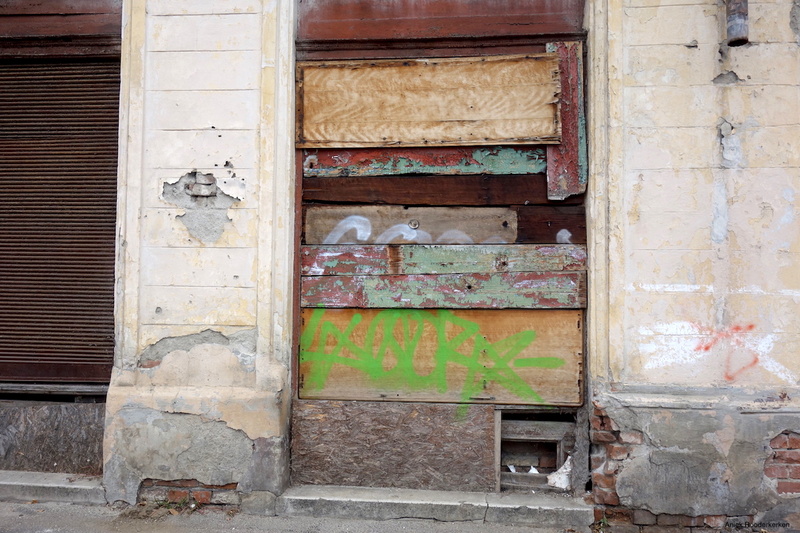 A window is boarded up with colorful shelves, graffiti on some of them. Beauty and decay in a photo. 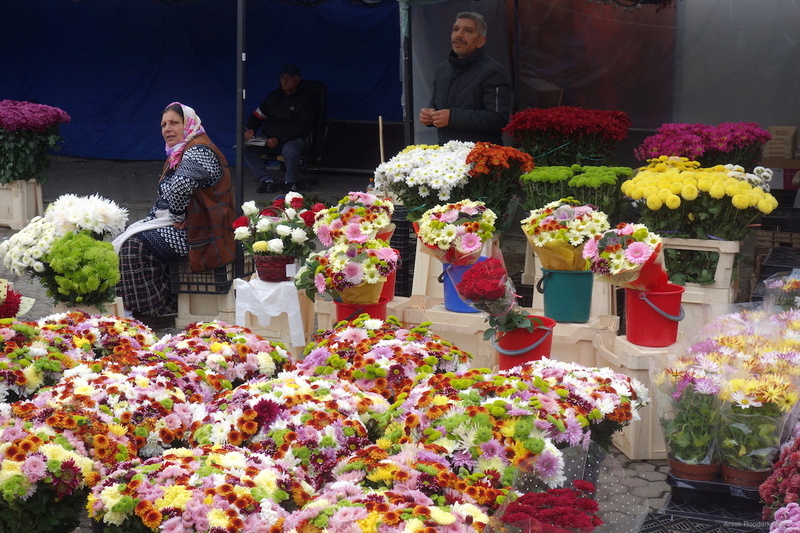 Nowadays, Rroma people are the second-largest ethnic minority in Romania, after Hungarians. “Officially about 4 percent of people in Romania is Rroma, although it probably is closer to 10 percent of the population. A lot of people of Romani descent do not want to call themselves Rroma since there still is a lot of discrimination.” It is therefore guessing at the real number. 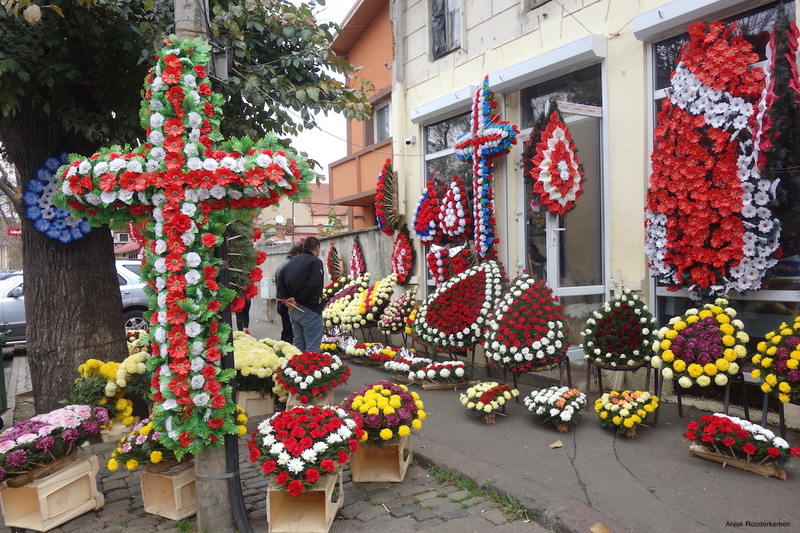 We take the tram to go to a district little outside of the city centre, to visit Piața de flori George Coșbuc, a Rroma flower market, which is run by flower sellers of Rroma background. 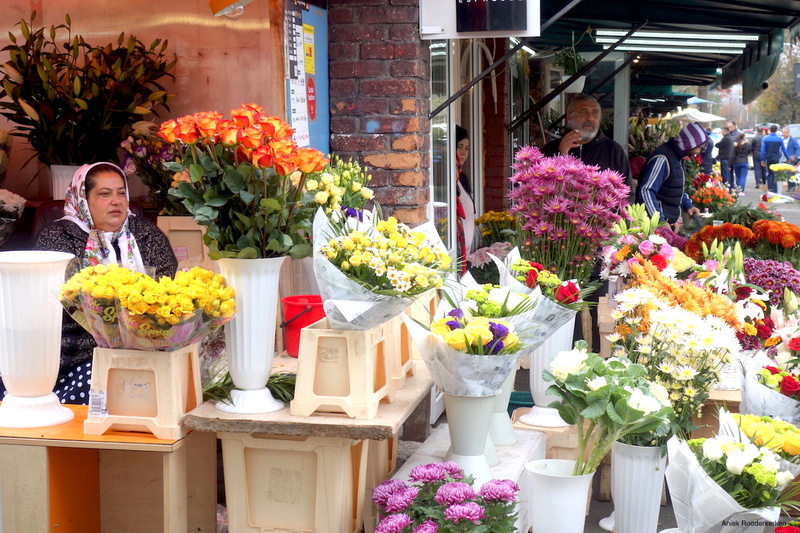 “People don’t like this area, because they still have fear of the Rroma. For instance, they tell their children that if they don’t eat their meal either the wolves or the gypsies will get them.” Stefan explaines. The people working here are Rroma. Women are sitting in the doorway on small wooden chairs, a cigaret dangling in their hand. A dog barks dangerously. 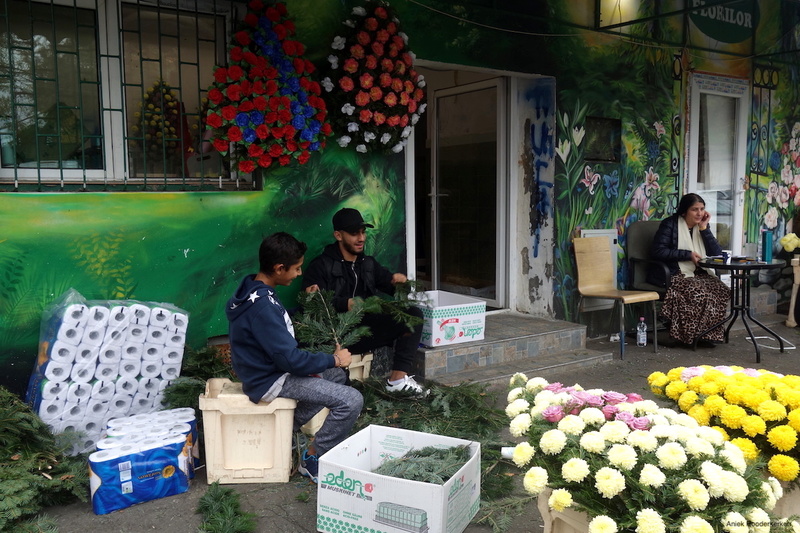 Children, some actually are still pretty young, are weaving the structures for the flower arrangements. It is a colourful place, but it can’t hide the fact there is a lot of poverty, living conditions over here are below average and the future of the children is not positive. Even though the number of Rroma children attending and finish school is growing, still many Rroma children skip school. 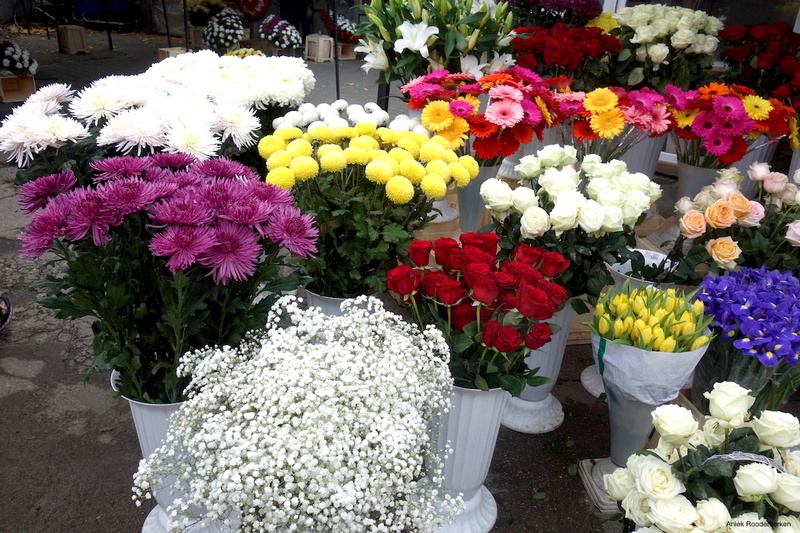 A shop near the flower market in Bucharest. Walking back to inner town we see skeletons of huge and partly finished buildings. Projects that were abandoned after the fall of Communism in 1989 and will never be finished. They are just standing there, amid waste that has been dumped. 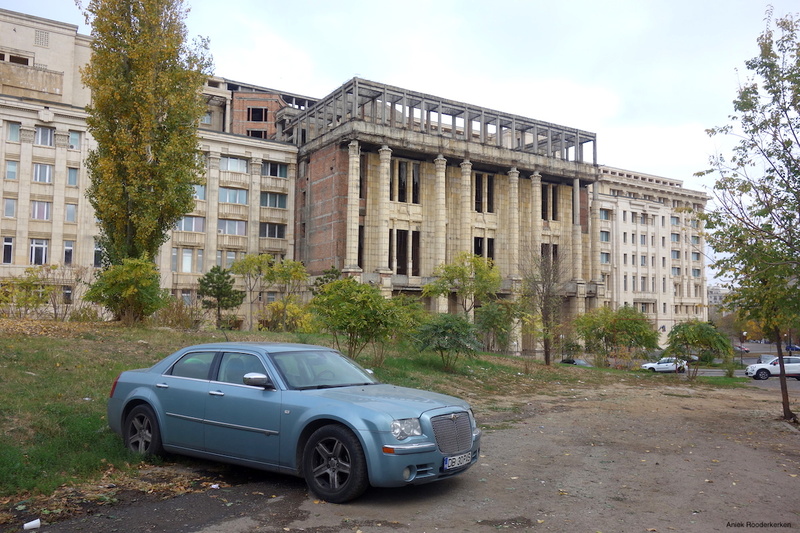 One of them is the unfinished building of the Romanian Academy. A massive building that dominates the area. It was built for Nicolae Ceaușescu, the Communist dictator of Romania. Also the Communist era turned out to be difficult for the Rroma people. Unfinished building of the Romanian Academy. One of the most desolate places you can find in Bucharest. Little further, we take a quick look at Mahala restaurant. 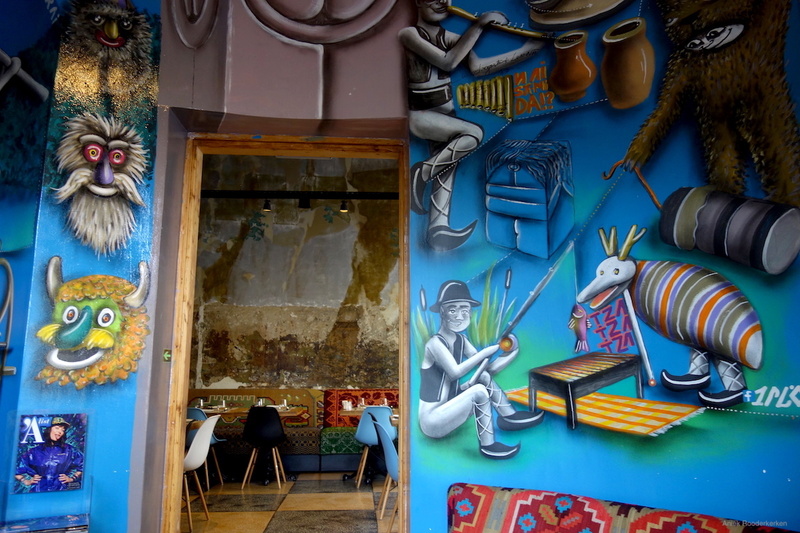 The restaurant is painted with murals relating to tradition, and also to some typical Rroma traditions and stories. A colourful conclusion to a tour with a gray edge. 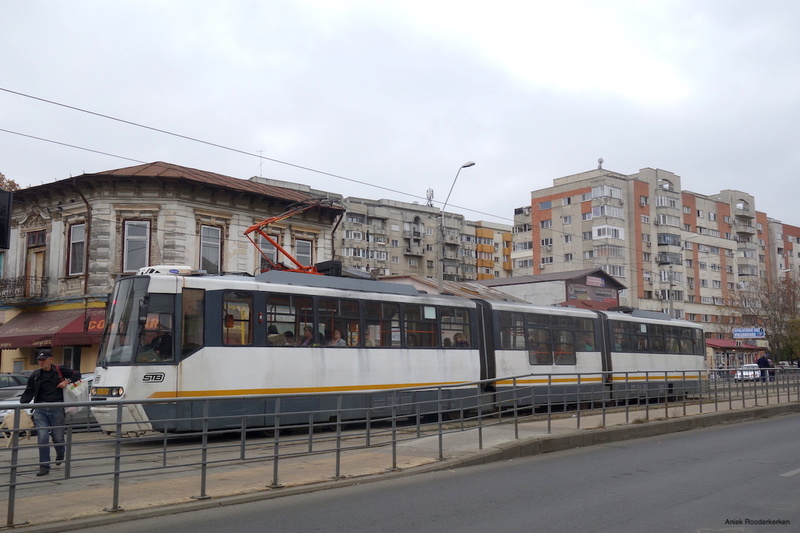 If you want to see a different side to Bucharest and Romania and want to learn more about the complicated history of the Rroma people you should book the Rroma Heritage Tour by Open Doors Travel. 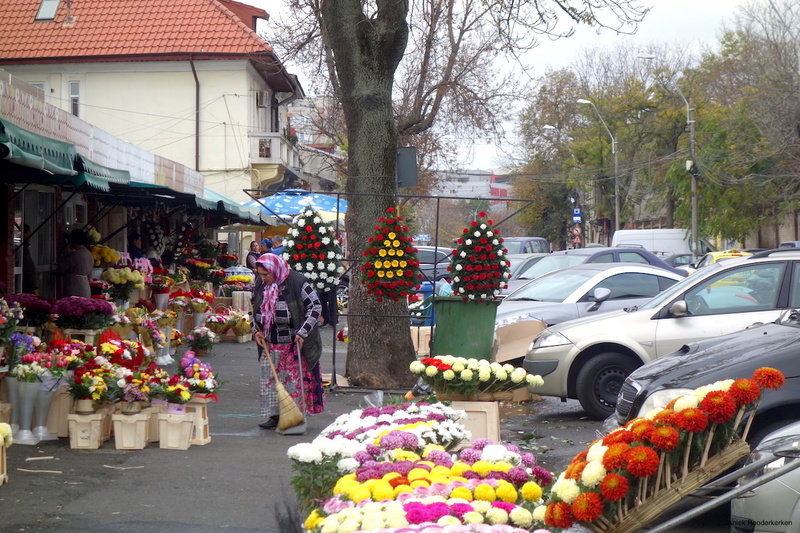 It’s an absolutely fascinating tour that reveals one of the extraordinary stories of Bucharest! It was a complimentary tour during the blogging event Experience Bucharest. Adventure and outdoor travel blogger Aniek finds herself cycling through outstanding landscapes, hiking through rolling green meadows and snowy slopes. She combs the planet looking for adventure and shares her stories on her blog. travelwriter.nl is the travel blog for who craves a more active, sustainable and authentic experience when traveling.